Nearly 200 photo reproductions of key Mormon historical documents that record how LDS doctrines and scriptures have been changed, removed, or denied. Some of the older doctrines are today considered heretical by the LDS Church. Includes: Adam-god Doctrine, Polygamy, Contradictory Godhead Doctrines, Conflicting First Vision Accounts, False Prophesies, Changes in LDS Scriptures, and much more. A wealth of information with a detailed index. 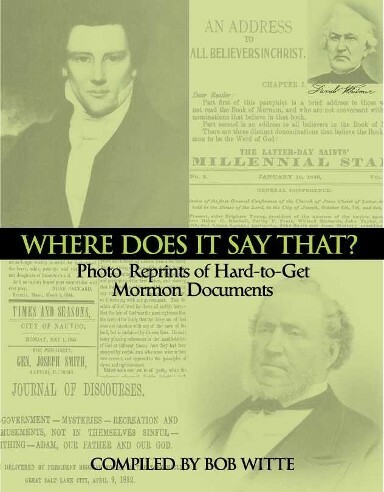 This book is an invaluable resource for Mormons who want to study their own history. Since it is almost entirely copies of LDS literature and contains very little commentary, it should not be seen as “Anti.” These historical LDS documents speak for themselves.